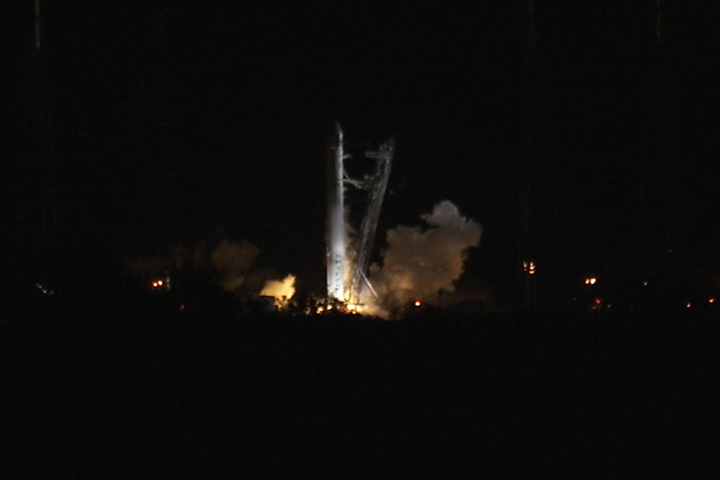 The Falcon-9 carrying the Dragon capsule to the ISS failed to launch in the final 0.5 second of countdown at a May 19 launch attempt (Credits: NASA). On May 22, SpaceX successfully launched their Dragon capsule aboard a Falcon 9 that had failed to launch just three days earlier. Although Dragon went on to make history, it seems that NASA’s Aerospace Safety Advisor Panel (ASAP) was concerned. How could SpaceX have completed a thorough investigation and gotten the craft back on the launch pad in such a short span of time? Now, one year after an ASAP report that blasted SpaceX software development as presenting “a lack of insight and sophistication in what can go wrong in this business,” the panel seems to be feeling more comfortable with the commercial carrier. With ASAP’s blessing, it is likely that SpaceX will conduct its first resupply mission to the International Space Station in October 2012, possibly even squeezing in a second mission in December. Payload documentation for Dragon’s third resupply mission is already in progress. NASA’s Aerospace Safety Advisory Panel was established in 1968 in the aftermath of the Apollo 1 fire. It is charged with evaluating NASA’s safety performance, safety culture, and compliance with the Columbia Accident Investigation Board recommendations. The panel then advises NASA and the US Congress on strategies for improving safety based on its evaluation. ASAP’s latest recommendations were passed on to NASA administrator Charles Bolden for his consideration on August 8.